This week Echo Park is spotlighting their Designer Products! 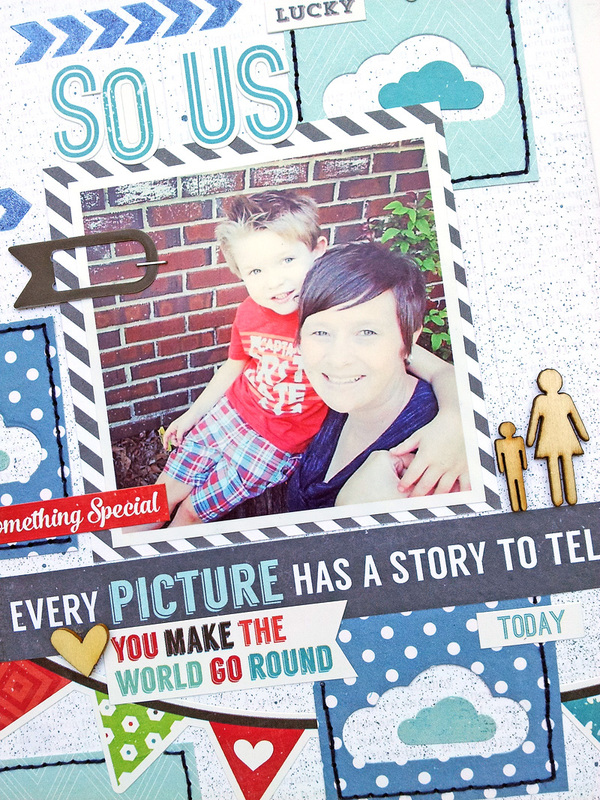 New Designer Dies and Designer stamp sets are being released to coordinate with the Echo Park collections. 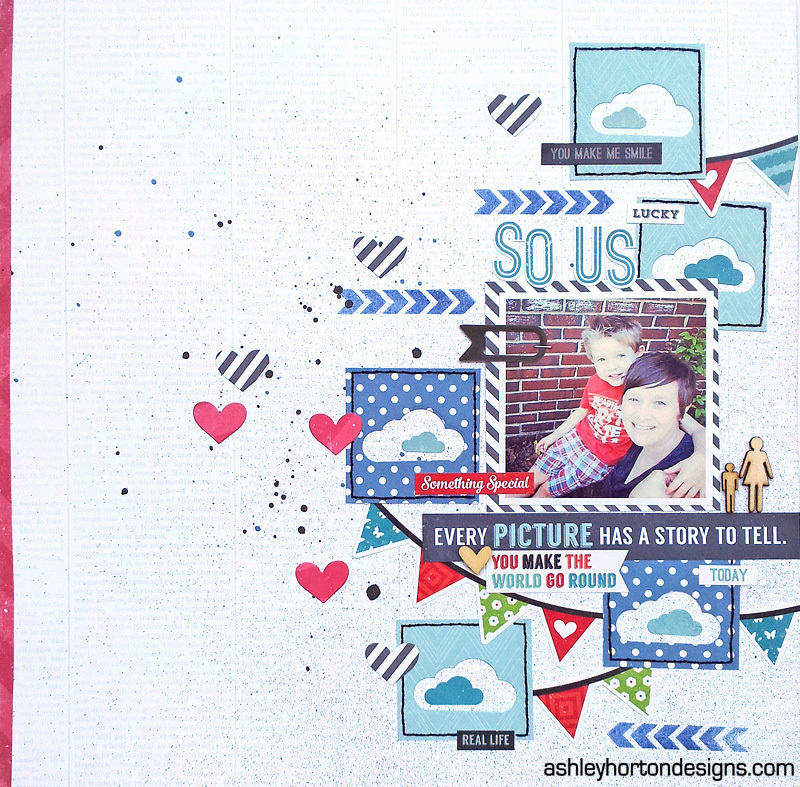 Yesterday on the Echo Park Blog, I shared a new layout, using the Sun & Clouds Designer Die Set. I used the Cloud shape from the "Sun and Clouds Die" and cut 5 of them from the 6x6 patterned papers in the paper pad. Once I had all of the shapes cut, I trimmed around each negative cloud, with my paper trimmer to create about a 2 inch square. Next, I placed them on my layout, moving them around into different configurations until I decided where I wanted each one. After they were all adhered, I added some of the Cloud and phrase stickers from the Element Stickers Sheet and hand stitched around each of the squares to add definition. 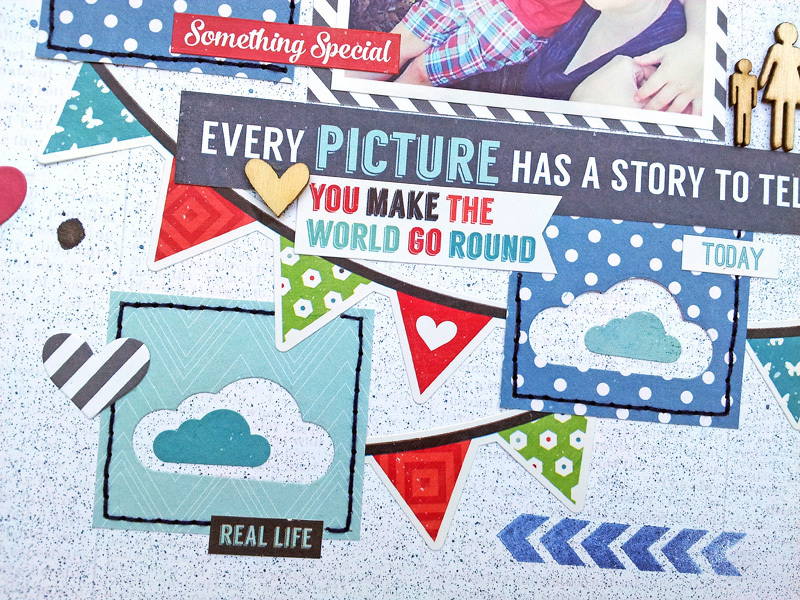 The new Designer Die Sets, also work perfectly with the coordinating Designer Stamps! Don't forget to visit the Echo Park Blog and comment all this week for the chance to win some of the new Designer Products!